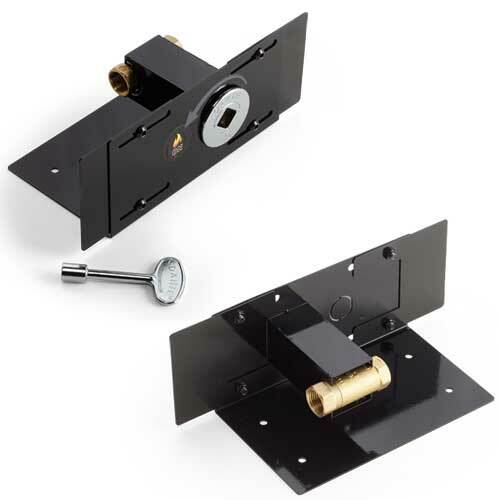 Designed for the HPC straight manual key valve, this bracket allows flexibility and installation ease for Match lit Models decorative key valve. The face plate is adjustable from 8in to 12in width accommodating most pavers. The valve is securely mounted to bracket using decorative flange. Important: For use only with HPC straight manual key valves.